The influence of molecular weight on the microhardness of quenched and subsequently annealed isotactic PP is shown. 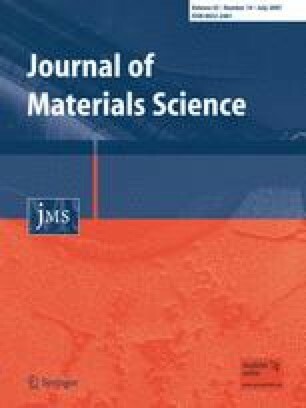 A clear dependence of microhardness on molecular weight and annealing temperature was detected. Even in the quenched state, where it was difficult to detect morphological differences between the materials, microhardness shows differences. In all states, quenched and annealed, the lower molecular weight samples have the higher hardness values. Up to an annealing temperature of 70 °C the hardness increases only slightly in all samples, above 80 °C a more pronounced increase was observed. For the microhardness of the samples annealed at 140 °C the ratio of the amorphous to the crystalline length is the dominating morphological parameter. Financial support by the European Union for the Elettra synchrotron measurements is gratefully acknowledged.